Bicycle rentals are available for all of our tours, and also for your local cycling needs in the Washington, DC area. Are you traveling to Washington, DC on business? Don't miss your cycling or exercise while away! We are the leading provider of quality rental bicycles for business travelers who want to get out and see Washington, DC during their visit. Get Out & Go ride any of the numerous area trails, including the paved Washingtion and Old Dominion Rail Trail, the paved Mount Vernon Trail, the paved Capital Crescent Trail (and crushed stone Georgetown Branch), the crushed stone Chesapeake and Ohio Canal Towpath and others, instead of being confined to your hotel room. Are you flying in to ride the Great Allegheny Passage on your own and need a rental bike? With 25 years of cycling experience in the Washington, DC area, we have the ability to meet your specific needs or those of your family, friends, or corporation. Let us help find the perfect cycling outing for you. Contact us to discuss your needs or to make reservations. Helmets are required to be worn for all Get Out & Go tours, and while riding our rental bikes. Advance reservations are highly recommended - we operate on an "hours by appointment" basis. Bike rental reservations require a non-refundable deposit of one day's rental, which will be credited toward rental cost. Balance for the rental period is due when bicycle is provided. For cancellation less than 24 hours of your rental, you will be charged the "daily charge" for the type of bike you rented. This might sound harsh, but a late cancellation will probably mean that we will not have time to rent the bike for that day. Bicycle rentals are made on a 24 hour basis. Unless prior arrangements have been made, you will be charged an additional day's fee for late returns. Rentals for group tours are priced by tour length. See registration form for tour rental cost. 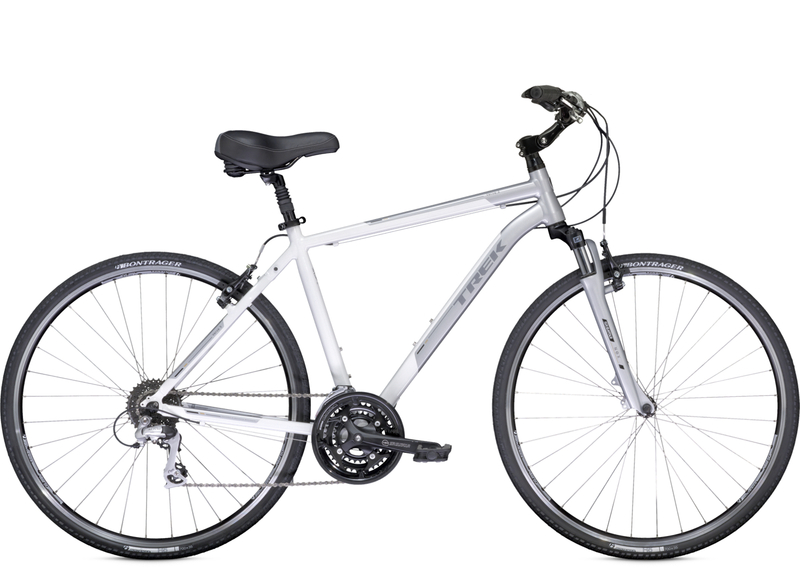 Trek’s premium aluminum alloy, Alpha White is 7000-series aluminum that has been hydroformed or mechanically formed into sophisticated tube shapes with optimized butting profiles for maximum strength and minimum weight. Alpha White frames may be smooth welded for aesthetics. 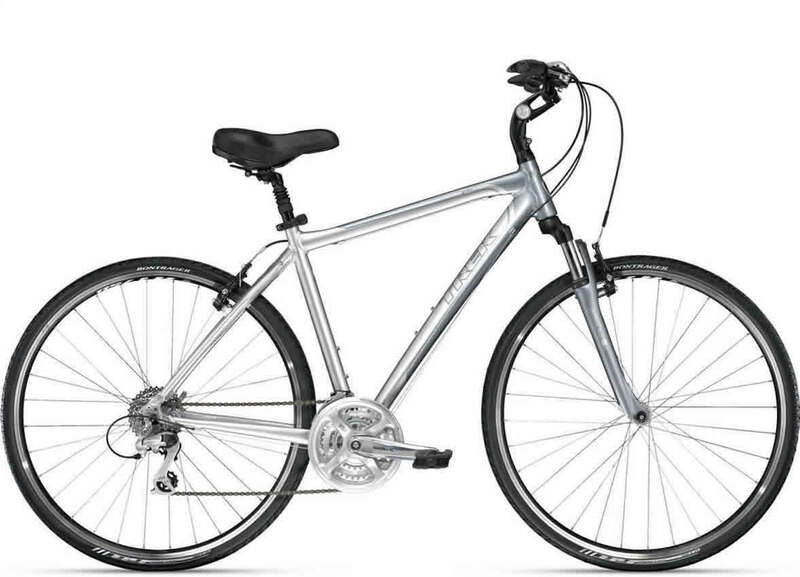 Sizes: 15", 17.5", 20", 22.5", 25"
Trek’s premium aluminum alloy frames with carbon fiber forks, for a smooth ride hour after hour. These bikes are great for fast road rides, tri-athlons, and road tours. All road bikes come equipped with a mini-pump, seat bag with spare inner tube, tire levers, patch kit, and multi-tool for adjustments. Platform pedals or pedals with toe clips and straps are standard. Ask about your preferred pedal type, or bring your own for quick installation. Our 62 cm road bike is a Fuji ACR 3.0, aluminum with a carbon fork and Shimano Tiagra components. 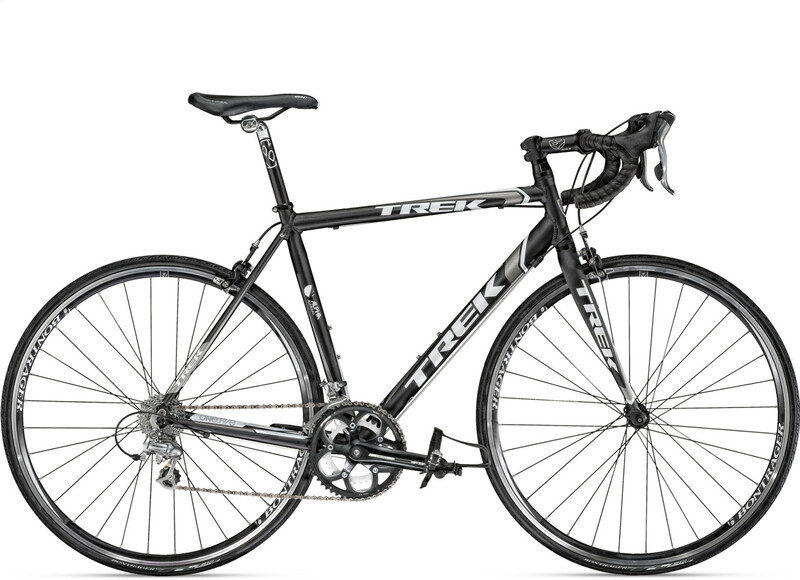 Similar to the Trek bikes, it serves our taller customers. 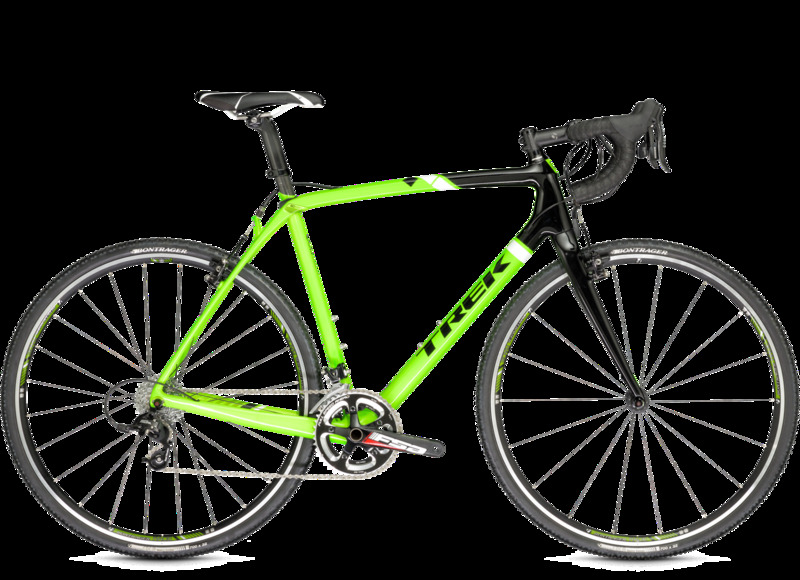 Trek’s lightest and fastest cyclocross bike, the Boone 7 can be used as a road bike, or a cyclocross bike, with the swap of wheels. We have added this bike to our fleet in several sizes, so you can ride the best there is, like you are use to. Call to check availability, as numbers are limited. This all carbon 600 series frame and fork, with isoSpeed shock absorption provides a smooth and powerful ride, with great comfort. 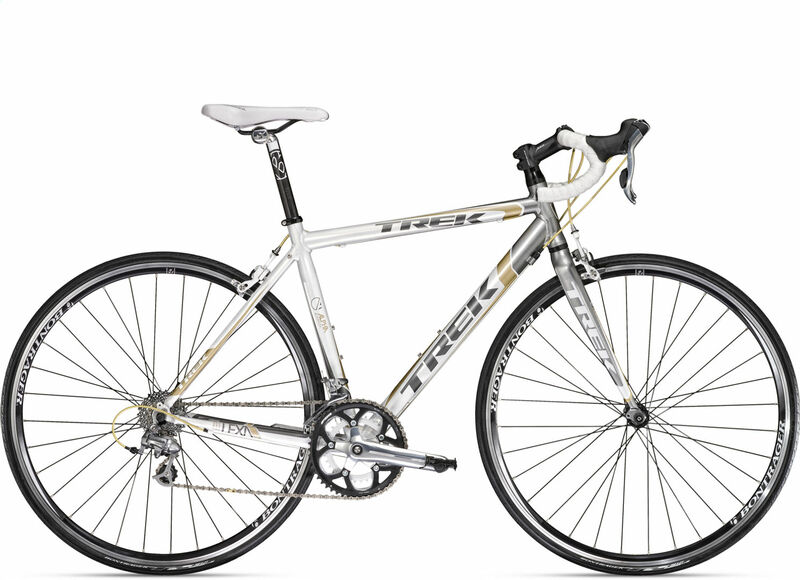 Definitely our top bike for fast riding on paved or gravel roads, rail-trails, and for a lightweight triathlon ride. Comes equipped with a mini-pump, seat bag with spare inner tube, tire levers, patch kit, and multi-tool for adjustments. SPD Mt. style pedals are standard. Ask about our other pedal options, or bring your own for quick installation. 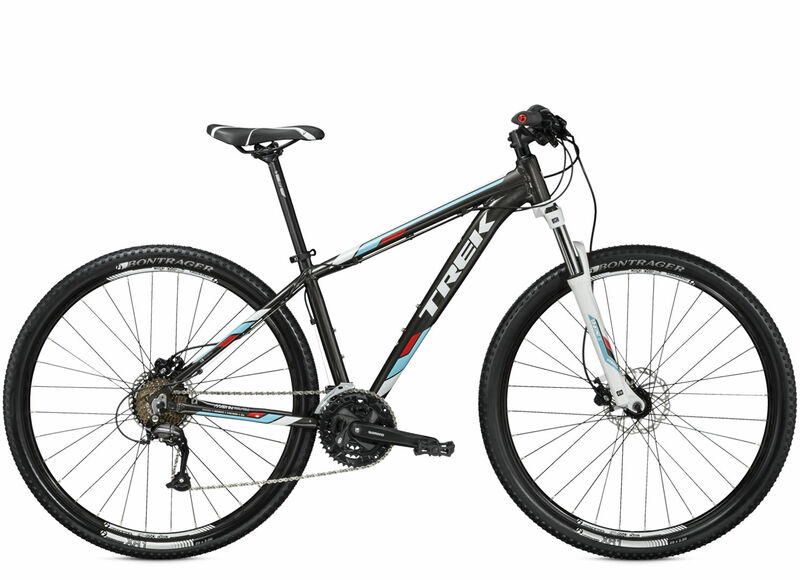 Trek 4500D aluminum alloy MTB frames with suspension forks and hydraulic disc brakes, for a smooth ride and quick stops. These bikes are great for off-road singletrack riding. All mountain bikes come equipped with a mini-pump, seat bag with spare inner tube, tire levers, patch kit, and multi-tool for adjustments. Platform pedals or pedals with toe clips and straps are standard. Ask about your preferred pedal type, or bring your own for quick installation. Sizes: 13", (15" Schwinn MTB), 16", 18", 18" (Raleigh) 19.5", 21", (21" Giant Iguana MTB), 22.5"
We have a variety of tandem, kids, and Trail-a-Bikes, trailers and even camping gear in-stock and available in limited sizes and numbers. Please email or call with your specific needs, and we will help.